Widgit Online symbol documents (web based) and SymWriter 2 (PC based) documents both share the same file format. Widgit Online can function as an easily accessible storage space for all of your SymWriter 2 documents. You can also download and upload your symbol grids to move accounts. To upload a document, go to the Documents page, click the Upload a Document button and then choose a file. The name of your document will be taken from the file name by default. To provide a new name, enter it into the space under ‘Specify document name’. 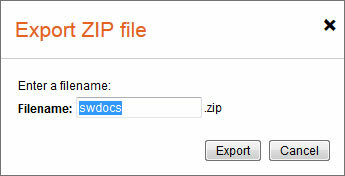 You can upload multiple files by creating a zip file containing several SymWriter 2 documents and grids. You can also upload zip files containing folders and files. These folders will be recreated in Widgit Online. 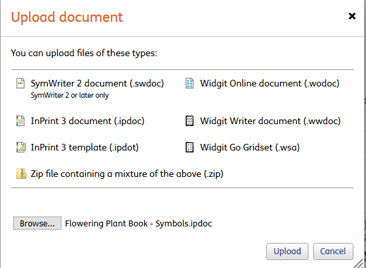 If you have other types of files in the zip, these will not be uploaded to Widgit Online. To upload, click the Upload a Document button and browse to a zip file containing folders and SymWriter 2 documents and grids. Note: Uploading zip files of your whole SymWriter 2 documents folder is an easy way to back up all your work. Each zip has a maximum file size of 30MB. Whilst your zip is uploading, you can continue to use Widgit Online. You will see the 'Upload in progress' message. To download individual files, you can click the SWDoc or WODoc links from the Document List for the specific file. Note: If you have found a document that you want to download through ‘Browsing’ and don’t know where to find the file in the Document List, click the ‘Folder Root’ icon while viewing that file. To download documents to your PC, go to the Documents page and tick the checkboxes for the files and folders you want to download and click the Download button. If you select a single file you will download the .swdoc. If you select multiple files you will download a .zip containing these files. Unzip this zip file to access the files and folders. When you download multiple files, you can choose the name of the .zip file and this will be downloaded to your usual download location. To save a SymWriter 2 document direct to Widgit Online, open the document in SymWriter 2 and choose Save Document to Widgit Online (or Save Document to SymWriter Online) from the File menu. 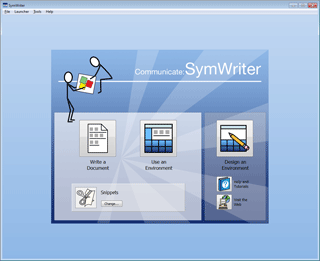 To open a SymWriter Online Document in SymWriter 2, select Open Widgit Online Document (or Open SymWriter Online Document) from the File menu.